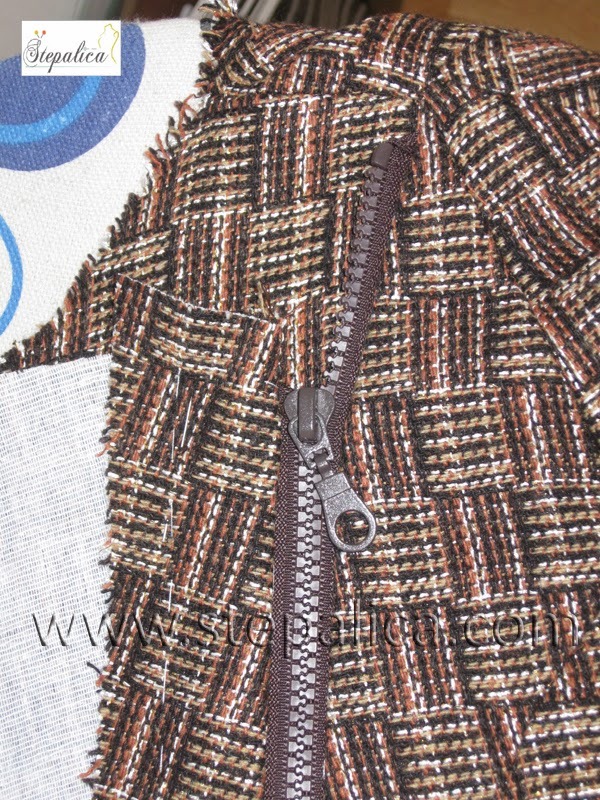 How often do you sew jackets with a zipper closure? 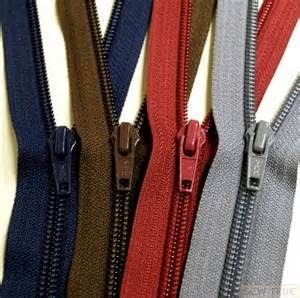 Do you have a favorite type of zipper you keep using again and again? 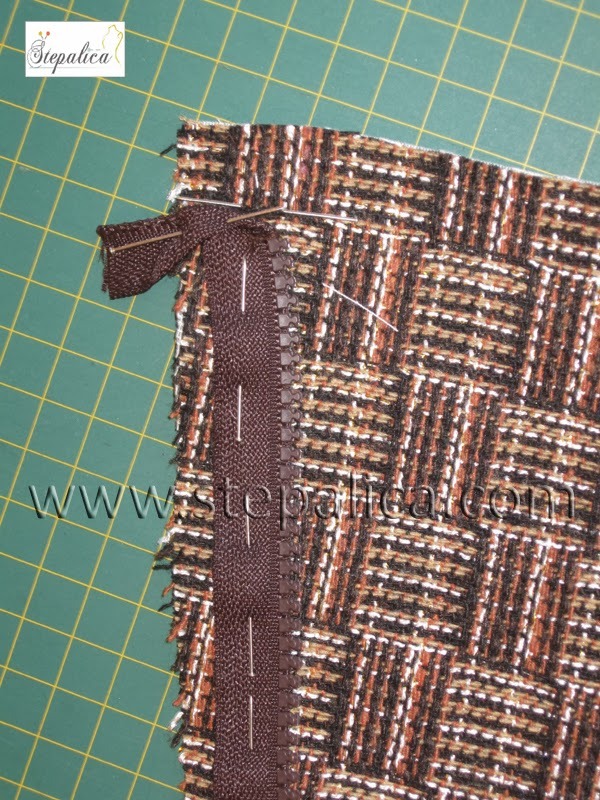 What do you do when a pattern calls for a non-standardized zipper length? 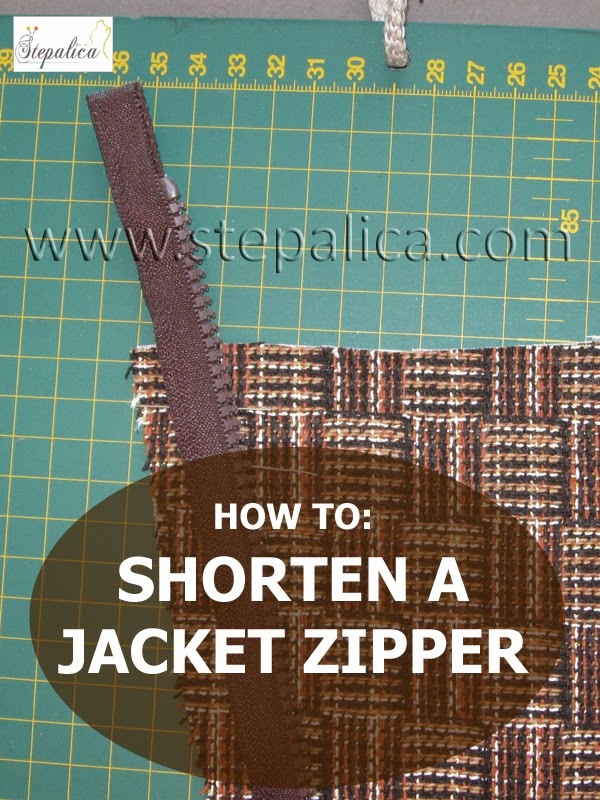 Do you know how to shorten a zipper and how do you do it? 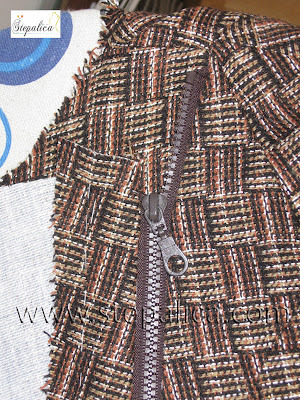 A few days ago I started working on a new jacket which, you've guessed, has a zipper closure. This has given me an idea to show you a very simple technique I'm using on almost all the zippers. But, before that, I'll give you some technical details about jacket zippers. These mechanisms can be found in various lengths and with various teeth, which can be metal or plastic teeth, and can be spiral or single teeth. I usually use the ones with single plastic teeth. 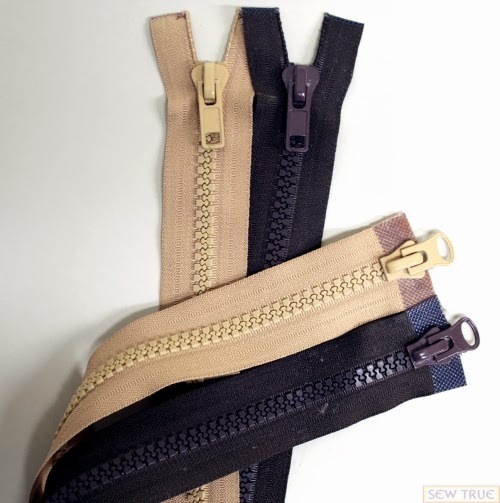 Although I like the looks of the metal zippers, I find these mechanisms too rough and heavy for jackets made of light and soft fabrics. I avoid the zippers with spiral teeth, as I don't like how they look. So, I'm left with the ones that have single plastic teeth. 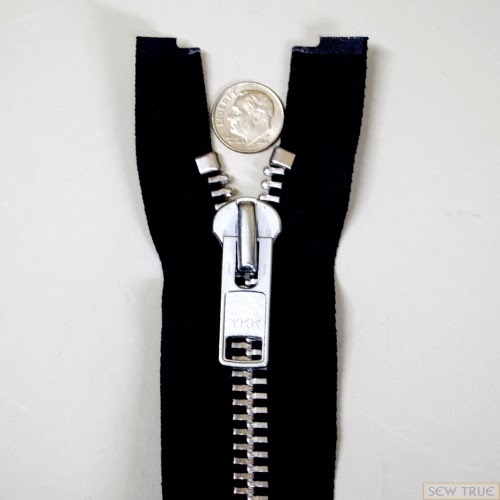 These zippers can be easily shortened. The teeth can be easily removed, but the question is how to secure the zipper end and keep the zipper head from falling off? I'll show you how I do it in the following text. Measure the length of the zipper you need and the length you need to cut off. I usually measure directly on the jacket, as this way I am sure I will measure just the right length. 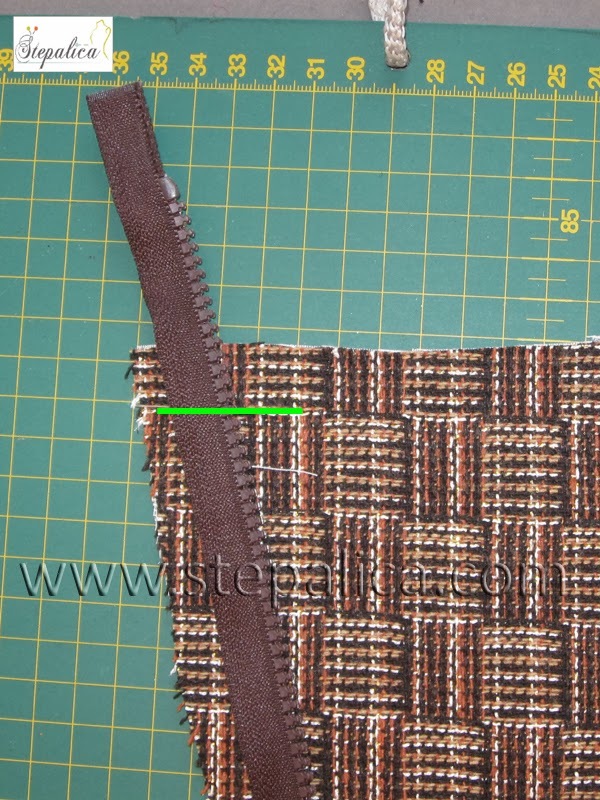 I shorten the measured zipper length by 2-3 teeth, as shown on the picture - the upper pin marks the exact length I need, while the bottom pin marks the length shortened by 2 teeth. 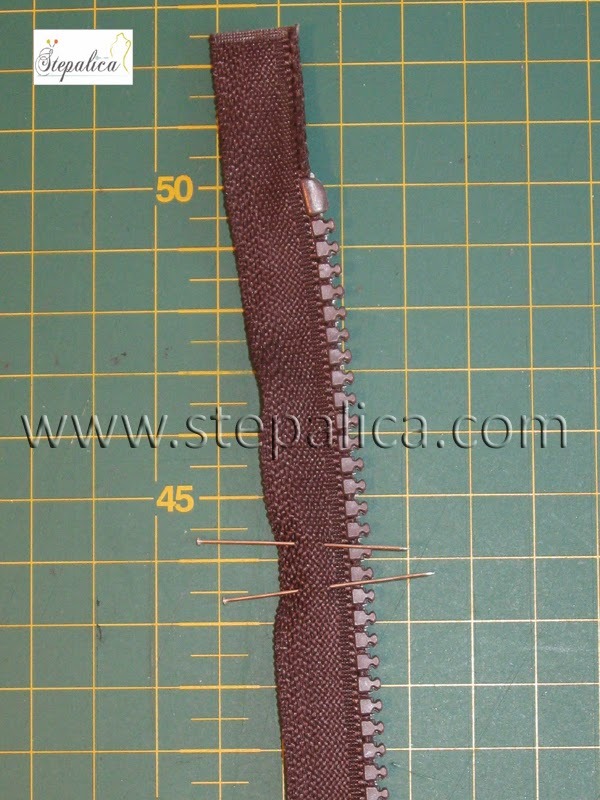 This way I am sure the zipper teeth won't get stuck in a seam. 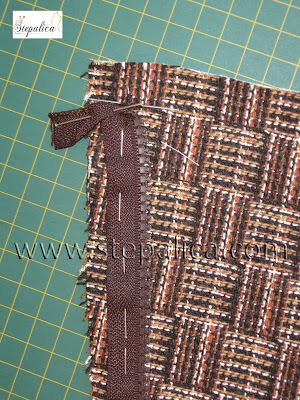 Then I make a zipper stop using a thread in a matching color. 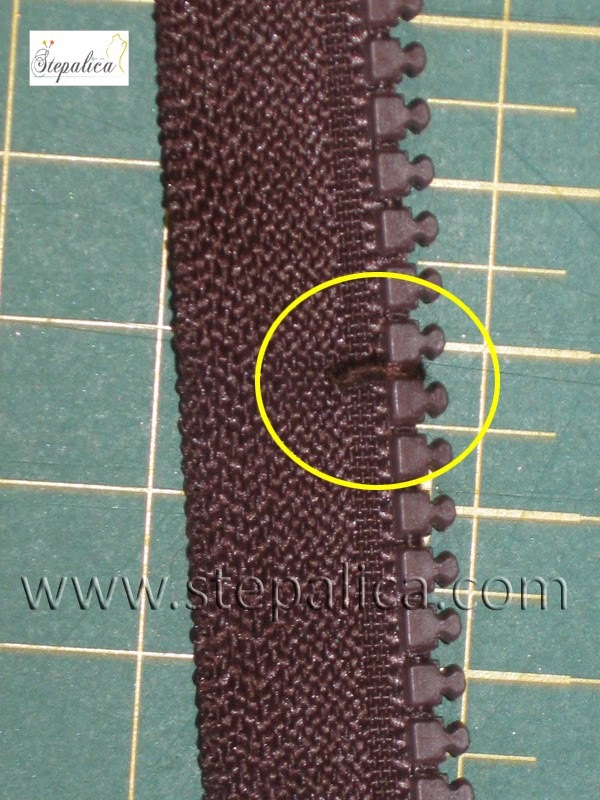 I make a few stitches around the zipper band, and then I make loops around the stitched thread. Once the zipper stop is made, I can remove the extra teeth. I use these two wire pliers for this. 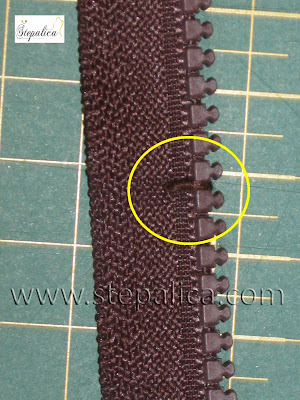 I remove the teeth one by one, starting from the top of the zipper band and moving towards the new zipper stop. This way I make sure I don't damage the teeth I need. 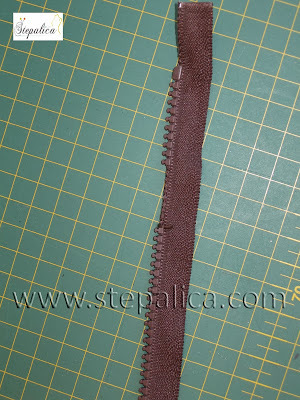 Once enough teeth has been pulled out, I cut off the extra zipper band and I'm left with the zipper in a length I needed. 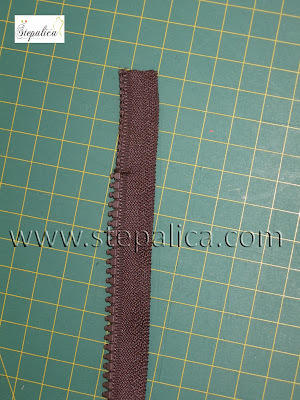 When sewing the zipper to the fabric, I additionally secure the zipper stop by folding the zipper band to the side and twisting it one more time. 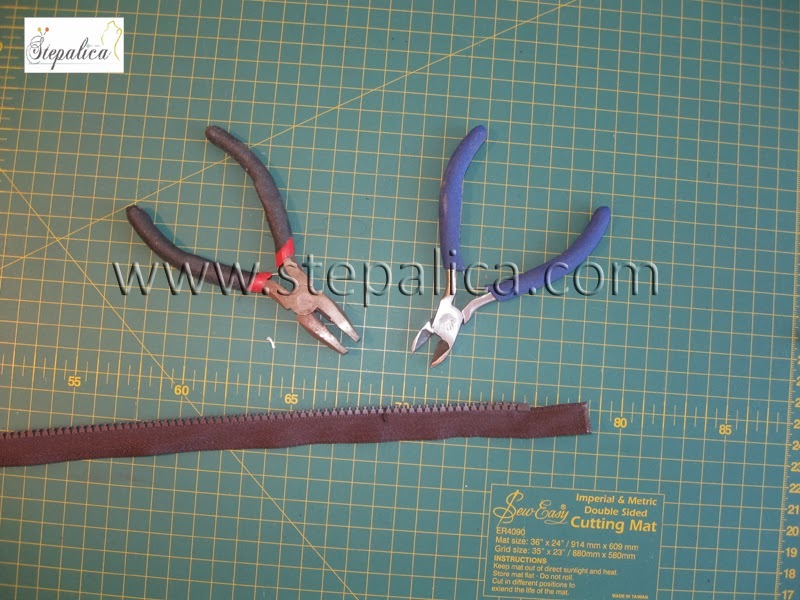 This way I make a fold that will stop the zipper head from falling off of the zipper band. 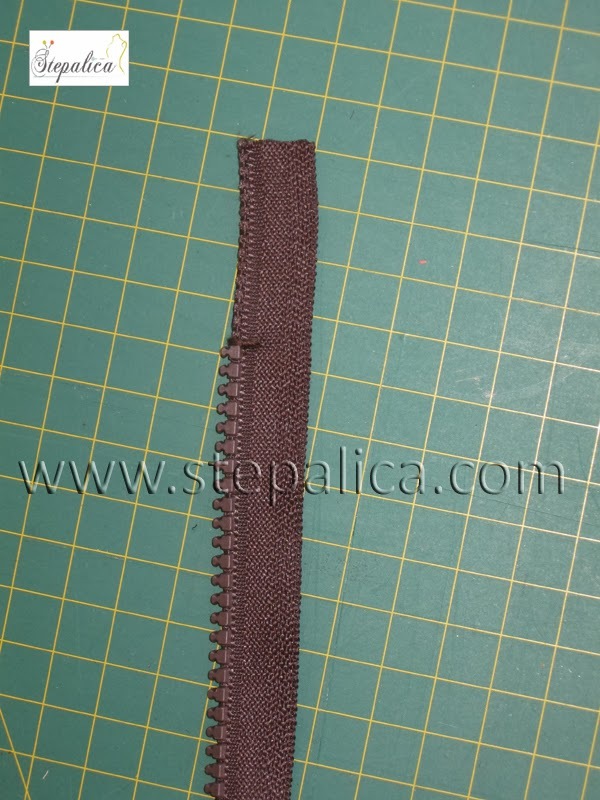 Here's how the zipper looks once it's being sewed into the jacket and closed. You'll notice I left the right zipper band longer than the left one, as I wanted to make the zipper a trim of the jacket. 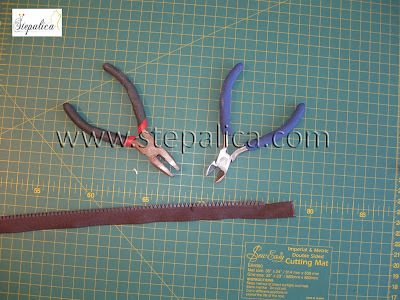 The zipper head is secured from falling off, and my alteration on the zipper is invisible. If I wanted to secure the zipper more, I could have added the zipper stop to the right side of the zipper. I will consider doing this once the jacket is completed. P.S. You have probably noticed double posts - one in English and the other in Serbian. I wanted to try blogging this way, so you could read the posts more easily. Let me know if this suits you! Samo da javim posto sam upravo procitala tvoje objasnjenje skracivanja zipa da je odlican post i da je po meni ovako jednostavnije, preglednije za pracenje. Hvala, sjajna si! Hvala Dušanka, drago mi je da Vam se dopao post, kao i nova organizacija bloga. Love your English posts as I am a big fan! Really good info. Thanks so much. Thanks Bunny, I'm really flattered to have a fan as experienced as you are! And, I'm glad you like the new way of blogging. Super ti je tutorijal. I ja tako slicno skracujem, mada mi se cesce desi da mi zapravo zafali:))) e tu pomoci nema puno, sem nekih kreativnih umetaka. Haha, ja uvek kupim duzi rajsferslus, za svaku slucaj! Thank you for sharing. This is awesome information. You're welcome, I'm glad it was helpful. Ja volim kako pišeś na Srpski I Engleski jel ja možem da vežbam moj Srpski. Ako nešto ne razumjem onda možem da povjerim na Engleski!